It’s a very good choice for Jiangsu citizens to strike bell for blessing to celebrate the new year at the coming of each new year. 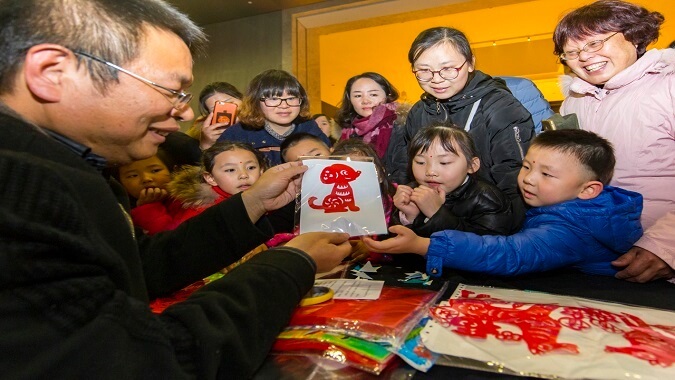 Jiangsu people like to have the activity to strike bell for receiving the new year, so as to make the ring express their best wishes for family and relatives, to enjoy happiness, peace, health and luck in the new year. Generally, people would like to strike bell by three times, why? It’s said that the three times represent happiness, wealth and longevity. Happiness refers to happiness arrives at home, wealth refers to the high post with abundant salary and longevity refers to prolonging life. 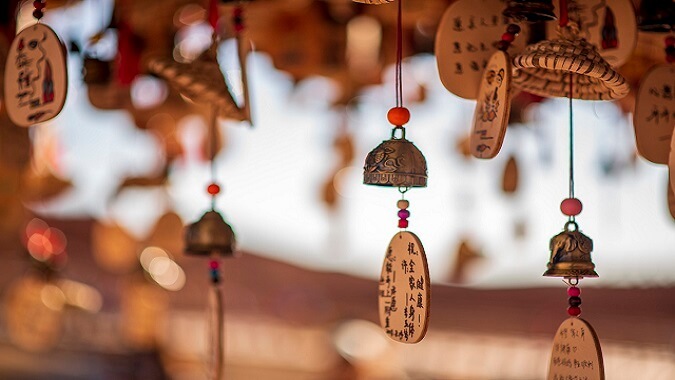 So people who go to the temples to burn incense and worship the Buddha would all like to strike bell by three times, blessing for health, happiness, wealth, eliminating troubles and increasing kindness. 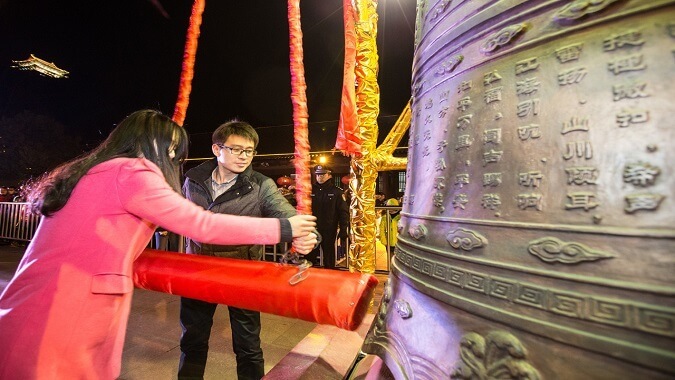 Feature: the activity of receiving the new year by striking bell at Hanshan Temple has gone through 39 years , it’s the 14th year for 2019 and has been listed as one of the global top 15 peculiar new year activities by Yahoo. 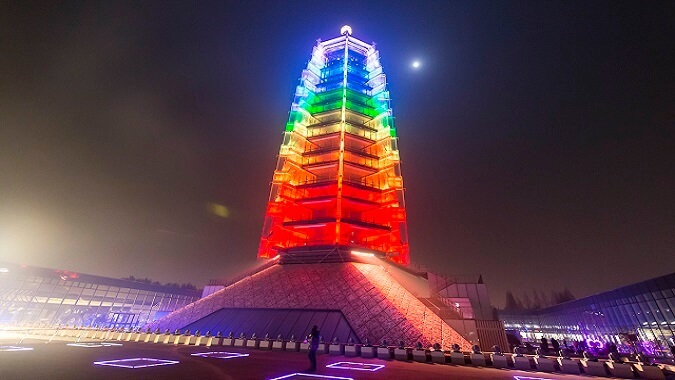 Feature: “Qixia Mountain records a half history of Nanjing”, the striking bell activity at Nanjing Qixia Temple has become the most influential brand among the various activities for receiving the new year. 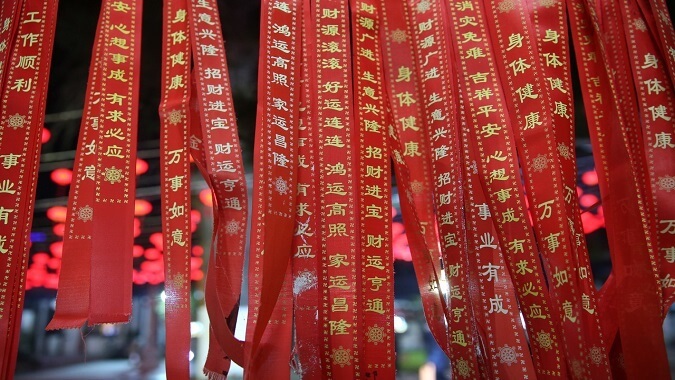 Besides for blessing by striking bell, the rich and various theme activities are also available for traditional culture display including: the combined performance of incense and flowers, weaving peace symbol, dotting good fortune by cinnabar, sword dancing, and cutting window paper etc. The once a year striking bell activity for the new year at Yangzhou Daming Temple has become the folk custom and culture activity that has the largest size, the top level, is the most influential and participated by most people, it is a new business card for the city integrating folk customs, culture and tourism and has been developed as a new custom to ring out the Old Year and ring in the New Year for Yangzhou local citizens and tourists from other places. 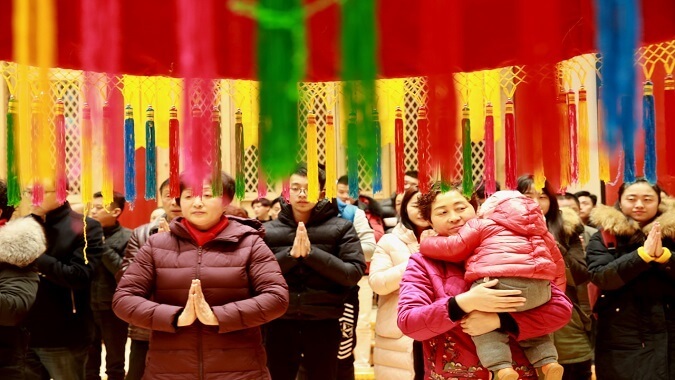 That day, people may participate such activities as the ten thousand bright lamps, blessing good luck by striking bell and tasting the longevity noodles etc. so as to pray for a smooth year all around.